​The Dai Li is the secretive and elite police force of Far Drop who work to capture, interrogate, and imprison political dissidents. The organization was founded by Avatar Kyoshi with the aim of "protecting the cultural heritage of Far Drop", effectively protecting the King Alex's interest against subversive individuals as well as terrorist organizations. The Dai Li helped King Alex create and enforce the necessary laws and regulations as required by the American Law For Sub-Countries. A few years later the Dai Li was under the radar on the grounds of attempted conspiracy's and scandals which created tension between SP citizens and government officials. Aside from it's infamous history in Ba Sing Se, the Dai Li has been a very effective police force in Far Drop. The following information below this point does not apply to the Dai Li Agency in Far Drop. 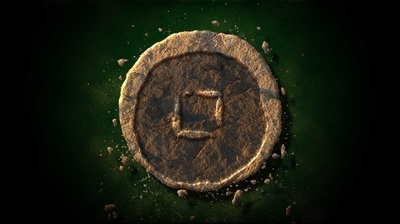 The Dai Li became corrupt over time and did not fulfill the purposes proposed and intended by its founder. After 79 AG, Grand Secretariat Long Feng was able to conspire with the Dai Li and effectively rule Ba Sing Se, reducing the position of the Earth King to nothing more than a figurehead. 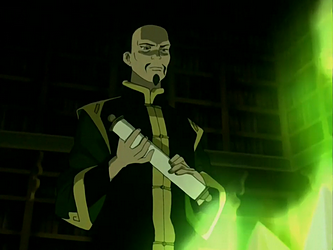 The Dai Li's corruption and decadence was so advanced that they later came under the command of Princess Azula, relinquishing any loyalty to the Earth Kingdom, and assisting the Fire Nation in the capture of Ba Sing Se. After the war, however, they regained the trust of the Earth Kingdom's government and began to serve again as the monarchy's secret police, only this time with direct loyalty to the crown itself. 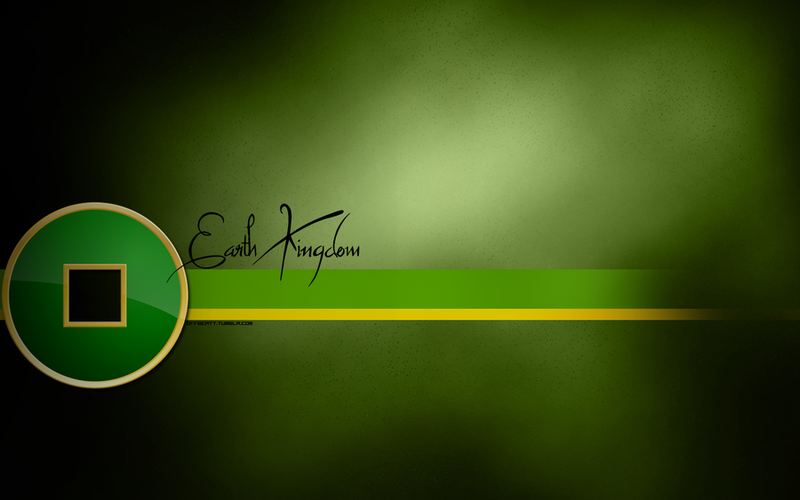 They became Earth Queen Hou-Ting's trusted enforcers, supporting her regime and aiding her plans. Additionally, the Dai Li also merged with Far Drop during the 100 year war and King Alex and the Earth King agreed to share interests. 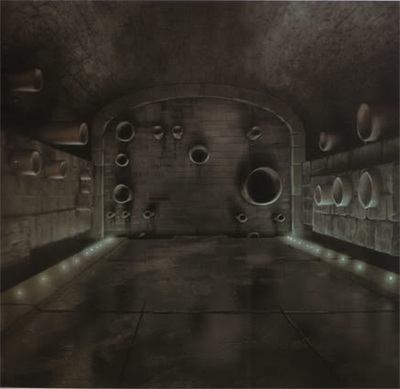 "They would be silent, precise. And feared by all. 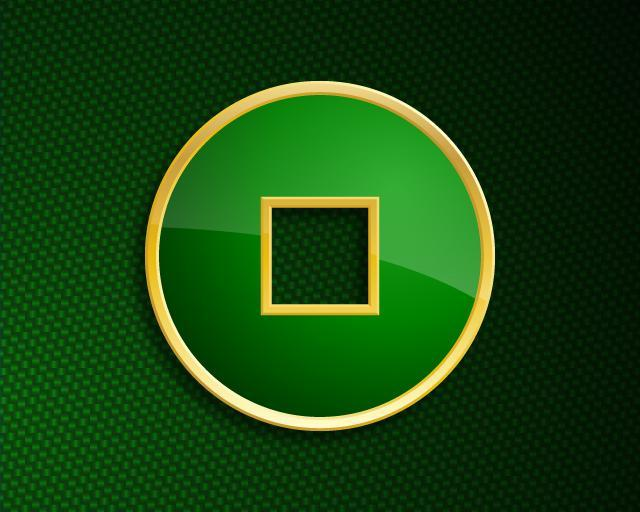 They became known as the Dai Li." 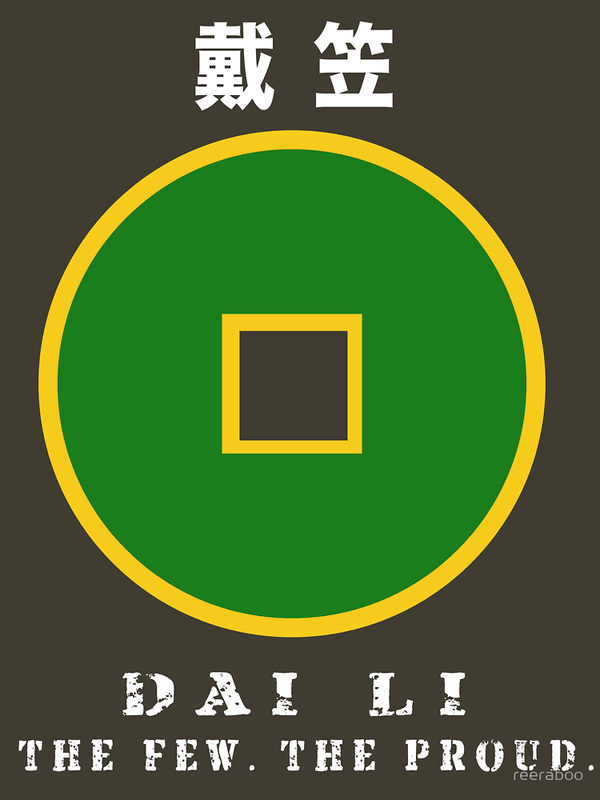 ​The Dai Li was originally created by Avatar Kyoshi, some time between 270 and 82 BG, to preserve the cultural heritage of Ba Sing Se in response to a peasant uprising against the government of the 46th Earth King. 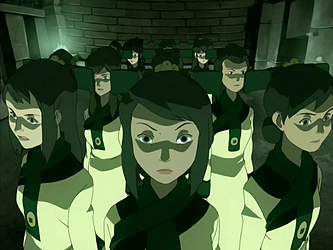 The agents received a particularly hard and elitist training by the Avatar herself, making them an extremely effective secret police. 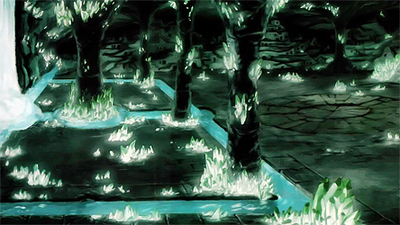 Kyoshi later told Aang that she regretted having created the Dai Li, as she had no idea how corrupt they would eventually become. 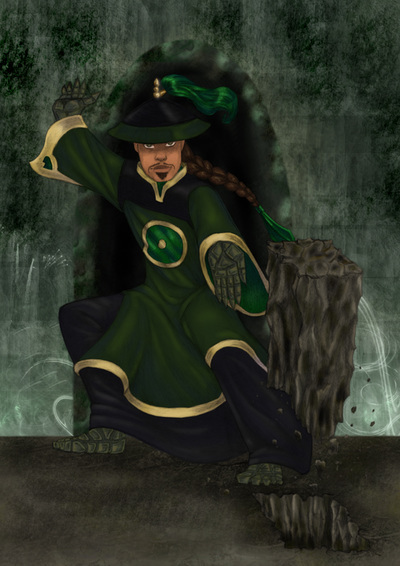 ​Selectively picked at a young age, the agents of the Dai Li were elite officers of Ba Sing Se trained and controlled by Long Feng. 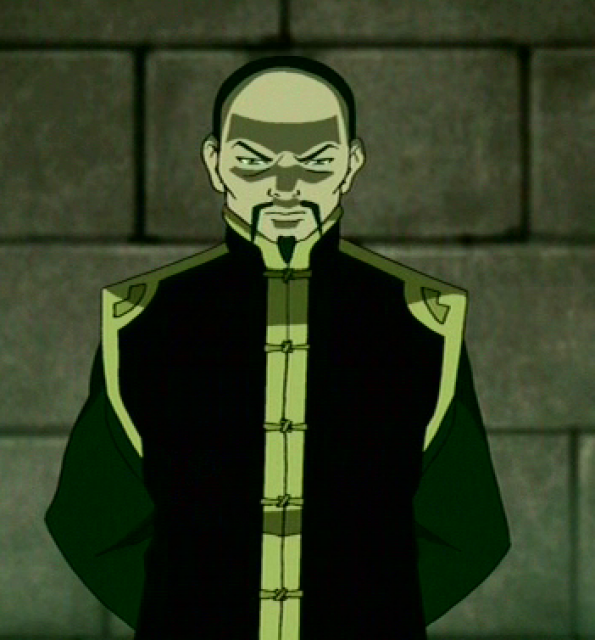 Since speaking of the Hundred Year War with the Fire Nation was against the law in Ba Sing Se, the Dai Li kept a close watch on all refugees and new immigrants to the city, removing anyone who dared to break the code of silence and brainwashing them under Lake Laogai. Long Feng's control of the Dai Li was not absolute, however. Several agents, including his right-hand man, did not serve him out of sheer loyalty but because it was beneficial for the secret police. This would prove crucial during the later Coup of Ba Sing Se. When Team Avatar arrived in the city in hopes of informing Earth King Kuei about how to win the war against the Fire Nation, the Dai Li took immediate action to prevent them from seeing the King. 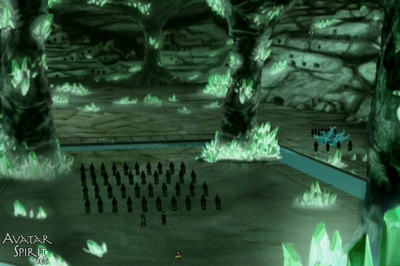 They sent one of their agents, Joo Dee, posing as a tour guide, to tend to the Avatar and his friends while, in reality, she was impeding their progress by delaying any visits to the Earth King. 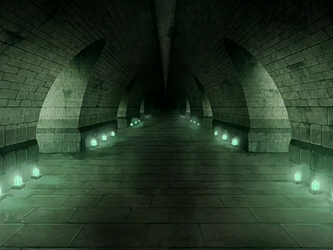 When the gang tried to infiltrate the Royal Palace during a party hosted by the king, the Dai Li immediately arrested them, and the gang learned of the Dai Li's corruption. They threatened to reveal the conspiracy to the city, which resulted in Long Feng blackmailing them with Appa's life, who at the time was missing. 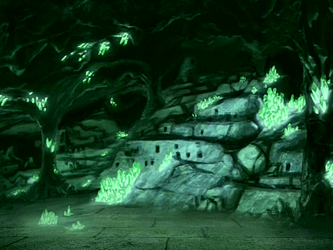 Team Avatar remained silent until Jet showed up in the city, offering to help them find Appa. In reality, he had been brainwashed into sending the group on a wild goose chase to Whaletail Island, nowhere near Ba Sing Se. 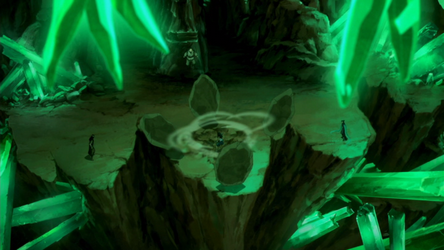 After realizing this, they brought Jet back to reality, and with his help, they defeated the Dai Li at Lake Laogai in their attempt to save Appa. 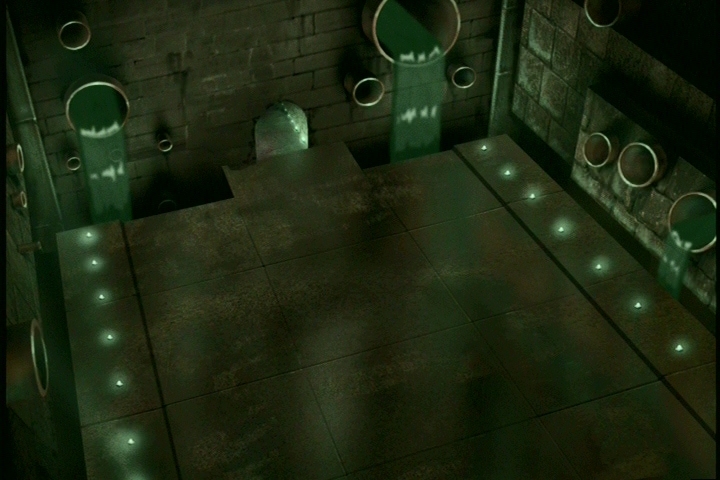 Jet later died at the hands of Long Feng. After reuniting with Appa, the gang informed the Earth King about the conspiracy despite heavy resistance from the Dai Li and palace guards. With knowledge of Long Feng's wrongful assumption of power, the Earth King had Long Feng arrested while the Dai Li were forced to serve the king, whose trust in them was shattered; however, the organization maintained their loyalty to Long Feng. 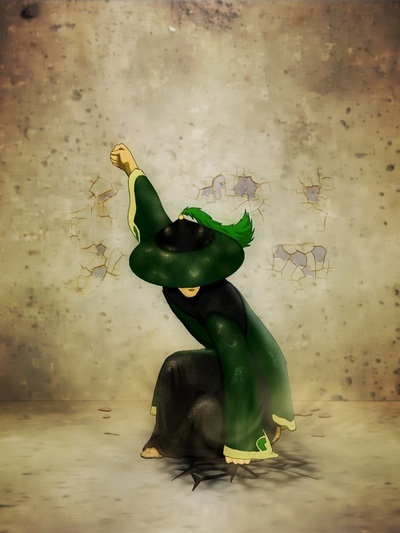 ​Princess Azula had infiltrated Ba Sing Se, however, and formed an alliance with the arrested Long Feng. She took command of the Dai Li on the Grand Secretariat's orders, but secretly began to shift the organization's loyalty to herself. Many Dai Li agents came to see the Fire Nation princess as the more effective leader, thus eroding their loyalty toward Long Feng. When the Coup of Ba Sing Se began, the secret police swiftly placed all members of the Council of Five, the foremost authority of the Earth Kingdom military, under house arrest, and assisted in the Earth King's arrest as well. 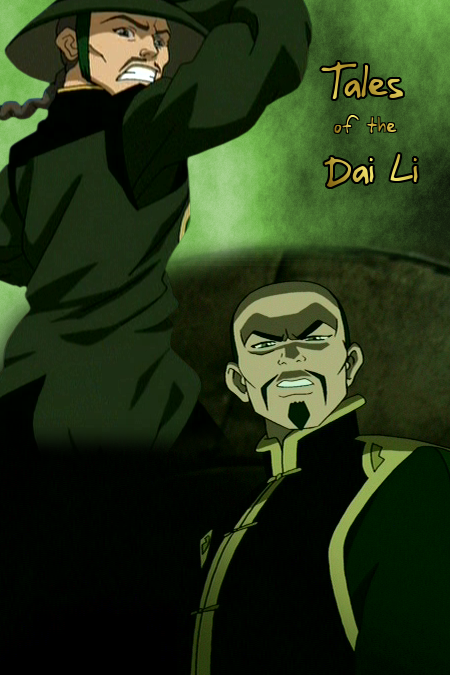 After the Earth King's deposition, Long Feng tried to betray Azula, but he himself was in turn betrayed by the Dai Li. 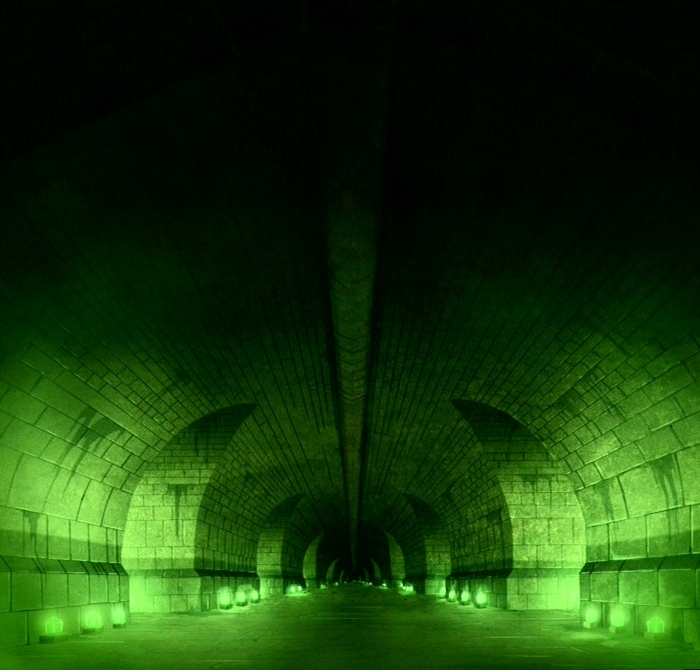 There upon the agents confirmed their loyalty to the Fire Nation. 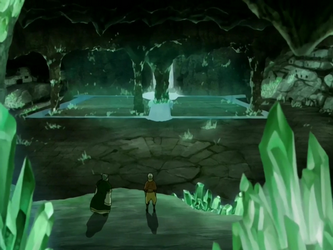 Later, when Aang and Katara battled with Zuko and Azula in the Crystal Catacombs, it was ultimately the Dai Li's intervention that vanquished their hopes of victory and granted Azula the time she needed to strike down Aang. 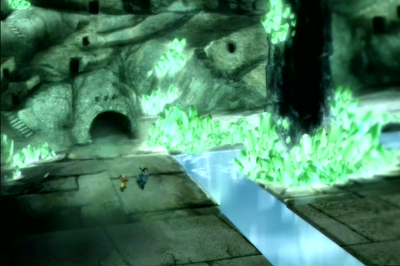 ​Following the coup, the Dai Li destroyed a portion of Ba Sing Se's Outer Wall, paving the way for a Fire Nation invasion of the entire city. 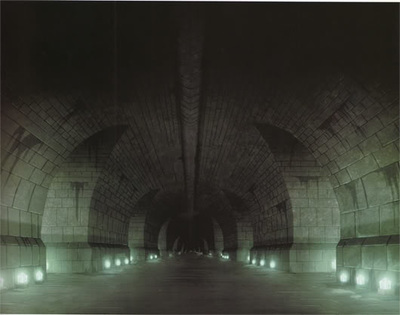 After Ba Sing Se was placed under firm Fire Nation control, Princess Azula promoted Dai Li agent Joo Dee to the position of "Supreme Bureaucratic Administrator" of the city, further cementing the Dai Li's unquestioned authority in the fallen city. ​The Dai Li are highly skilled earthbending masters, whose talents even surpassed those of the Earthbender Guards of the Royal Palace. 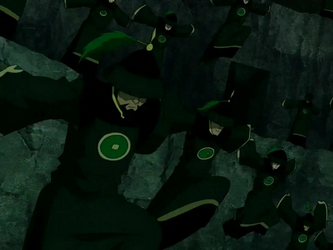 Trained exclusively by Avatar Kyoshi herself, they were taught in the art of stealth and precision. 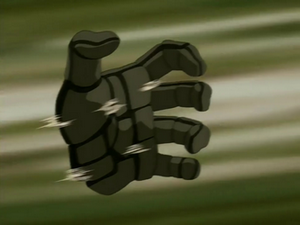 They wear gloves and shoes, both made out of earthen materials, in order to earthbend on the go. Their shoes also give them the ability to slide along the ground, increasing their speed. 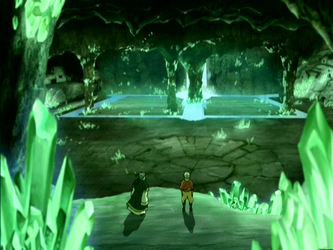 They are formidable earthbenders, as shown by the two agents who guarded Azula during the invasion and the capture of the Council of Five, leading to their successful coup. ​The Dai Li are adept at using their stone shoes to cling to sheer rock surfaces, such as walls or ceilings. 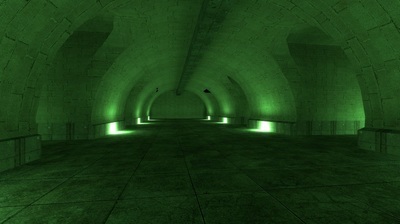 Mastery of this wall technique has been a part of their training ever since their inception and was therefore one of their most used skills. 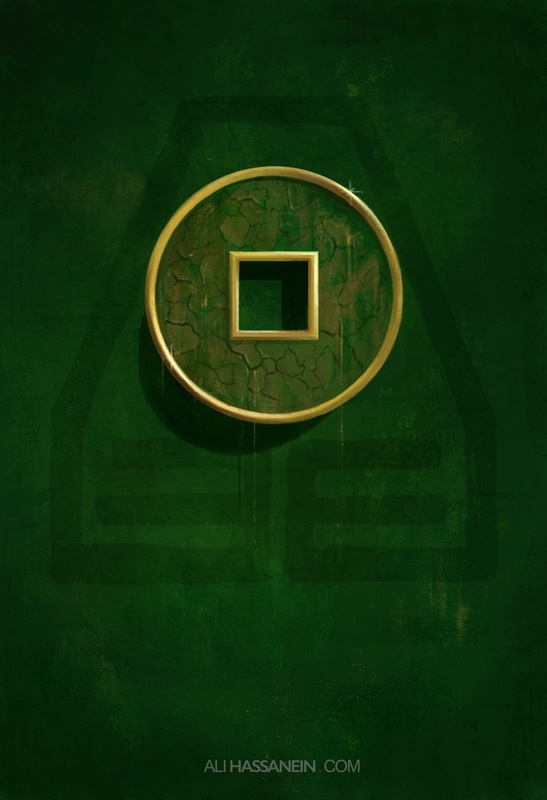 They carry a binding "weapon" called surveyors' chains within their robes, which they threw from their sleeves to ensnare and hold prisoners, particularly other earthbenders, in order to inhibit their bending. While under Long Feng, they used brainwashing to force rebels, such as Jet, to accept that there was no war within the walls of Ba Sing Se, forget certain information, and submit to their will. Most of Ba Sing Se's citizens seemed to fear them and wanted nothing to do with them, knowing that only trouble could arise from meddling in any of their affairs. The Dai Li were often paired up when sent on a specific mission. 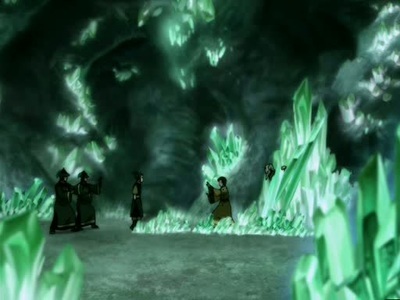 As such, a pairing of agents attacked Toph at Lake Laogai, spied on Team Avatar as they left their house, and protected Azula on two known occasions: when Zuko attacked her prior to his short imprisonment, and during the Day of Black Sun which helped her stall Team Avatar. 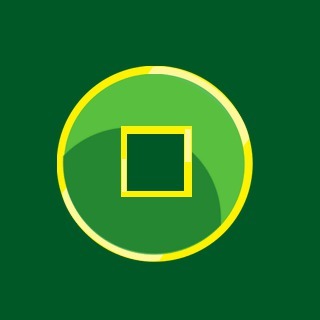 After the war, the Dai Li pledged their loyalty back to the Earth Kingdom and resumed their roles as secret police and policy enforcers, though this time they served under the direct authority of the monarchy. When airbenders began to appear after the Harmonic Convergence in 171 AG, the Dai Li set out to capture them in Ba Sing Se on the Queen's orders for the purpose of conscripting them into the first airbending regiment of the Queen's army.